Instead of substance and success, it’s all posturing and pontificating. It is especially trying in the middle of the long recovery we are experiencing and just plain painful as we work our way through another election cycle. A bit presumptuous because I’m no world-class economist, I’ll agree. But, I’m not an automotive engineer either and I’ve still managed a long and relatively successful career built around the service, maintenance and repair of a host of vehicles I didn’t have the background or education to design. If it was broken and found its way to me it almost always left in better shape than when it arrived. It had to because I refused to quit until I had a solution! Now, the economy is broken and here’s the connection: Fixing stuff is what we do! So, is taking a shot at fixing the economy really as much of a stretch as it may seem? Somewhere in the back of my mind it isn’t. In fact, it’s obvious… Apply the same skills and abilities that helped make us relatively good problem solvers and then get out there and do something! Actually, it was something I’ve been thinking about since American manufacturing first started migrating overseas. Interestingly enough, both Reich and I have come to the same conclusion. Both of us believe the key to our economic future is the return of American manufacturing jobs with salaries high enough to allow American workers to purchase the products they are ultimately and intimately involved in creating. According to Reich, the purchasing power of our middle class has been shrinking for the past thirty years – a period of time that spans the leadership of both parties – and stagnant for the past eight. Consequently, the problem our economy is facing isn’t a “Supply Side” problem, according to Reich. It’s a “Demand Side” problem, with the return of a strong manufacturing base as its solution. I agree… But, just agreeing doesn’t necessarily provide a workable solution and here is where you, me and the Automotive Aftermarket all come together to provide a solution I not only believe can work, but one that will work if presented intelligently, supported properly and promoted aggressively! As some of you may have already discovered, finding and executing that “killer” marketing tool isn’t always that easy. So, I started by re-examining everything we do and when I got to warranty, I paused for a moment. After all, what more can you do when you already offer a 2-year/24,000 mile warrant: would a longer warranty really be the marketing edge I was looking for? And, then it came to me – an opportunity far more compelling than something ‘just’ for us and here it is. It starts with two questions: First, when it comes to quality of workmanship, productivity or the ability to innovate, is there anyone out there who really believes anyone in the world can compete a trained, educated, involved and highly motivated American factory worker when that factory worker is given the opportunity to compete? Second, is there anyone out there who really believes we can’t compete when it comes to quality of product, workmanship, innovation or design: especially, in a Global Economy? Is there anyone who really believes that our manufacturing capability is somehow less than world-class if or when our workers are allowed the opportunity to compete? The disconnect is price. Or, at least, that’s what everyone keeps telling us. American workers are just too expensive: expensive enough to make American products too expensive. That’s why everything has moved overseas and that’s why the purchasing power of the American middle-class – the only economic engine capable of restoring or sustaining the economy we once knew – has moved with it! Well, here’s a way… a way our segment of the aftermarket can help bring it back! 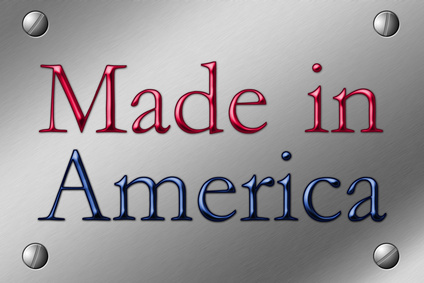 We can demand products that are made here: manufactured or at least assembled in the United States. 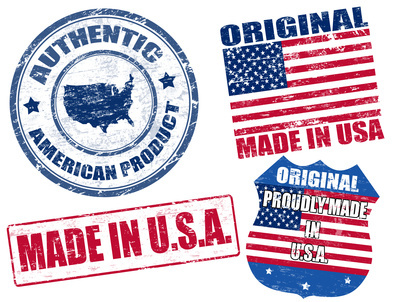 Quality products made in America by American workers! Will those parts cost a few bucks more? I’m pretty sure they will, but the only way things are going to change is if we change them and the only way we can change them is by getting directly involved! A number of aftermarket companies have moved at least some of their production capacity overseas for what must what seem like obvious reasons. I want them to bring at least a portion of that capacity home! I don’t know about you, but my experience with a number of ‘off-shore’ products has been less than stellar anyway. Realistically, the choice is clear: How many of you would choose a part made outside the United States over one made in Texas or Minnesota, Wisconsin or Wyoming, California or Colorado, New York or New Jersey, Alabama or Tennessee? 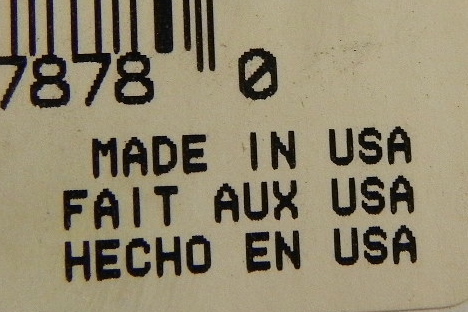 So, here is what I propose: If you are a manufacturer, give me a break! Give me a break on the parts that are made here and let me know what that break is: how much you are willing to sacrifice. It doesn’t have to be a lot! Just a point or two… Just enough to let me know you’d like to see manufacturing return to our shores as much as I would! Let me know and I’ll do whatever I can to see that every serious and responsible shop owner in the country is willing to sacrifice with you: willing to help bring those jobs home as well! If you are a Jobber or Warehouse Distributor, don’t just pass that discount through… Match it! Match it or at least contribute to it and I’ll contribute with you. I’ll match that discount and offer a 3-year/36,000 mile warranty on ANY part manufactured or assembled within our borders and I will promote a program like this actively and aggressively anywhere and everywhere I can. Why? Because, I believe Americans would pay a couple of dollars more for a part that was made here in the United States by a company employing workers who live here in the United States, spending their paychecks and paying taxes on other things made here that will grow the economy and ultimately benefit us all! 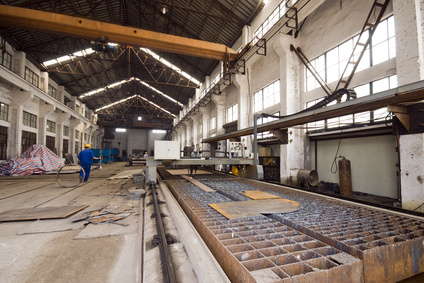 Unemployment is high: American factory workers want to get back to work and our factories are under capacity! Shipping costs continue to rise causing the difference in cost that exists between foreign products brought here and those Made in America to become less and less of a competitive factor. American consumers would rather buy American products: or, at least, that’s what they say and I think now is as good a time as any to put them to the test! We all want the economy to recover and the recession to end and here is something we can all do to move that process forward. In fact, I’ll do more than that. I will promote it all proudly and aggressively and encourage every member of the repair community to join us. I’ll help you create the kind of “Demand Side Economics” Robert Reich is talking about, the kind that will put Americans back to work, the kind that will result in a re-birth of American manufacturing, the kind of re-birth that can and will end the recession. Give me Aftermarket parts that are Made In America: For Americans and I’ll Buy (And, sell more) American! It doesn’t matter who you are. It doesn’t matter where you are in our industry: manufacturing, distribution or repair. All that matters is whether or not you care: whether or not you’re willing to do more than nothing!